Sometime during the last few weeks of school, it can be beneficial to use a survey to determine how your students and their families perceive various features of your classroom. This will help you determine what’s working well and what you may wish to modify. A survey can also help you identify any aspects of your program that you wish to communicate more clearly to students and families. Survey data can guide your decisions about what to repeat next year as you engage in a cycle of continuous improvement. Step 3: Determine how you will let families know that they will receive the survey and when and how the survey will be delivered and returned. Step 4: When all the surveys have been returned, analyze the results. Based on the results, plan to repeat successful pieces and modify other parts of your classroom program for next year. Please note: Although survey responses are subjective opinions, the information can help you identify aspects of your classroom that may or may not require further review. For example, if 20% of the families respond that students do not have enough homework, 50% say it’s just right, and 30% say there’s not enough homework, it’s probably just about right. Remember, this is an opportunity for continuous improvement. Plan ahead. Celebrate and repeat what has gone well. 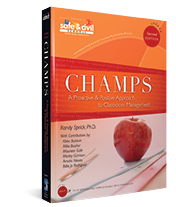 Look for patterns of information that will help you fine-tune your classroom management plan for next year. Safe & Civil Schools Climate & Safety Surveys invite all stakeholders—staff, students, and parents—to provide input on school safety, climate, and behavior. This allows a school leadership team to develop improvement plans based on data.Climate & Safety Surveys have been validated by research, and schools across the country use them to guide their decision-making. Click here to learn more and request a free demonstration.